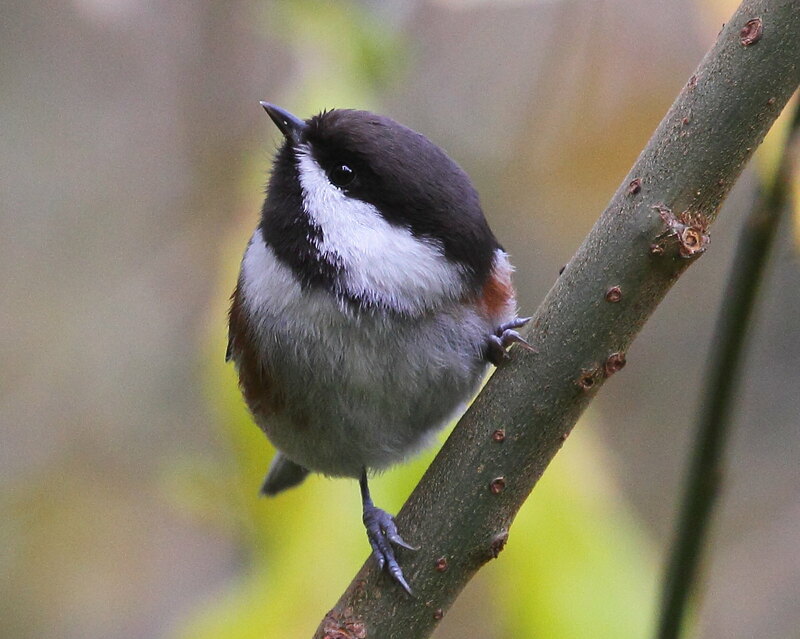 I was surprised to find Chestnut-backed Chickadee's in this park! I thought it was too small or too urban! Also heard the slight call of a Hermit Thrush so I mimicked it and a head popped into a hole in the Himalayan blackberry! BTW I do hope more birder photographers return to post their photos as it is a fantastic page! Nice! 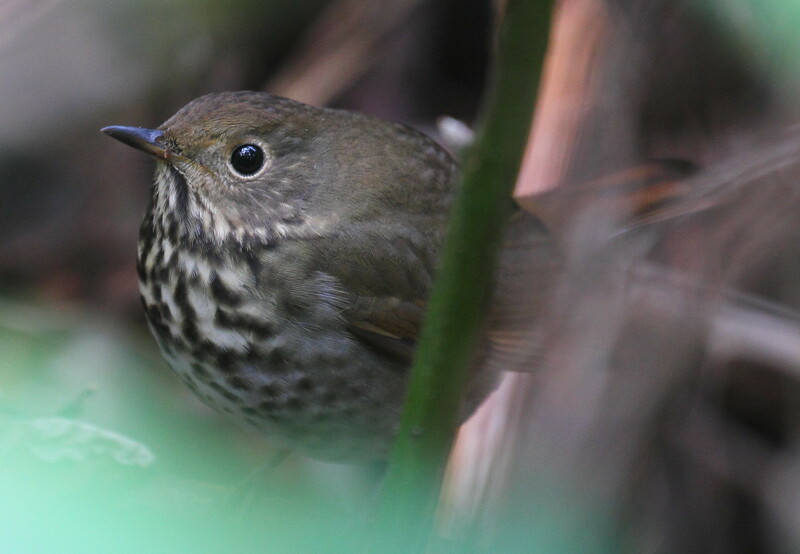 Great catch on the Hermit Thrush! 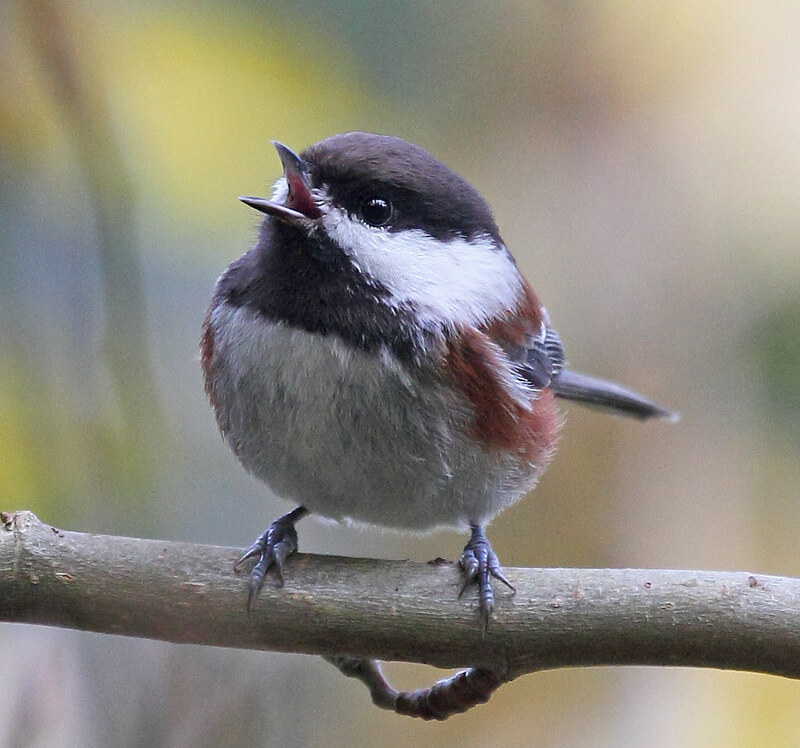 Such a beautiful bird and song but, they like to skulk and hide! BTW Happy New Years birding.bc.ca birders and photographers!